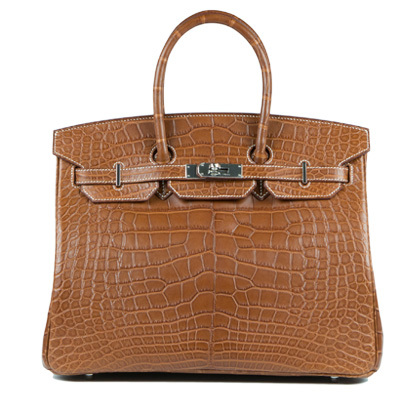 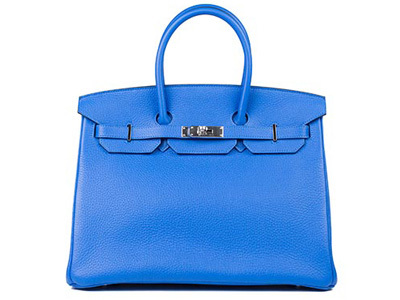 An eye-catching Hermes Birkin that will never go out of fashion Crafted with stunning matt alligator skin, its large pores are striking, alluring and guaranteed to make an impression. Its brown tone ensures its versatility and at 35cm in size, this bag is spacious enough to carry all your essentials without losing its iconic shape. 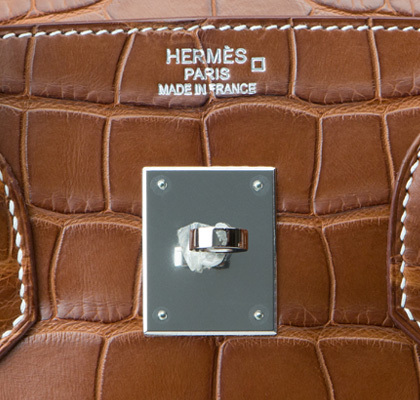 Its exclusive alligator skin is complemented by opulent palladium hardware, making it a fantastic investment into luxury. 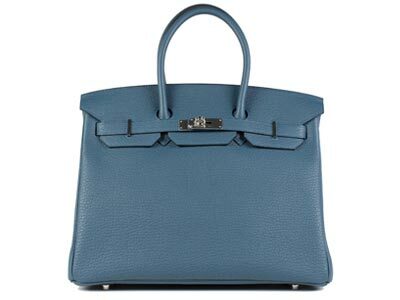 With such an incredible bag, we anticipate heavy interest in this piece, so we recommend that you fill in the simple enquiry form and get the bag of your dreams!This Bag is sold. 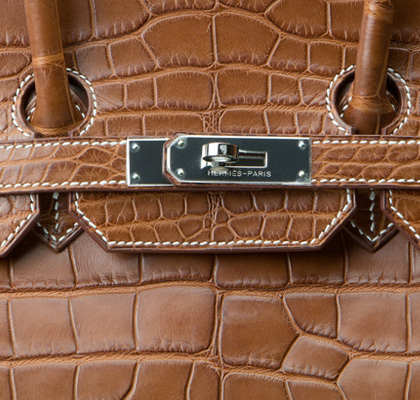 An eye-catching Hermes Birkin that will never go out of fashion Crafted with stunning matt alligator skin, its large pores are striking, alluring and guaranteed to make an impression. 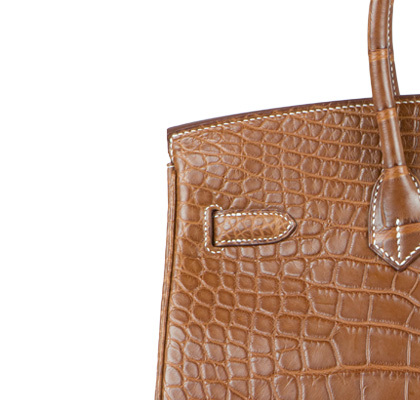 Its brown tone ensures its versatility and at 35cm in size, this bag is spacious enough to carry all your essentials without losing its iconic shape. 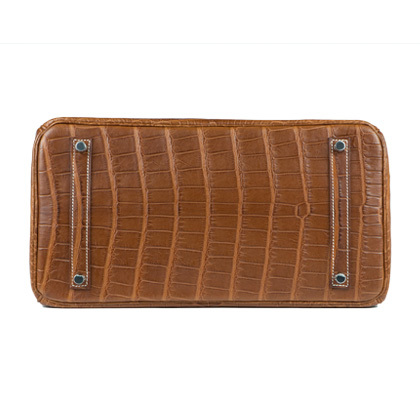 Its exclusive alligator skin is complemented by opulent palladium hardware, making it a fantastic investment into luxury. 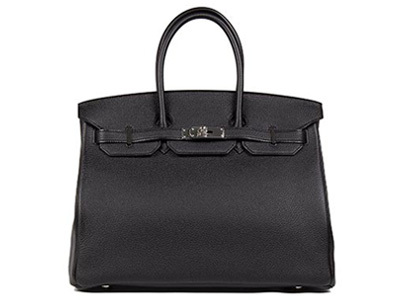 With such an incredible bag, we anticipate heavy interest in this piece, so we recommend that you fill in the simple enquiry form and get the bag of your dreams!